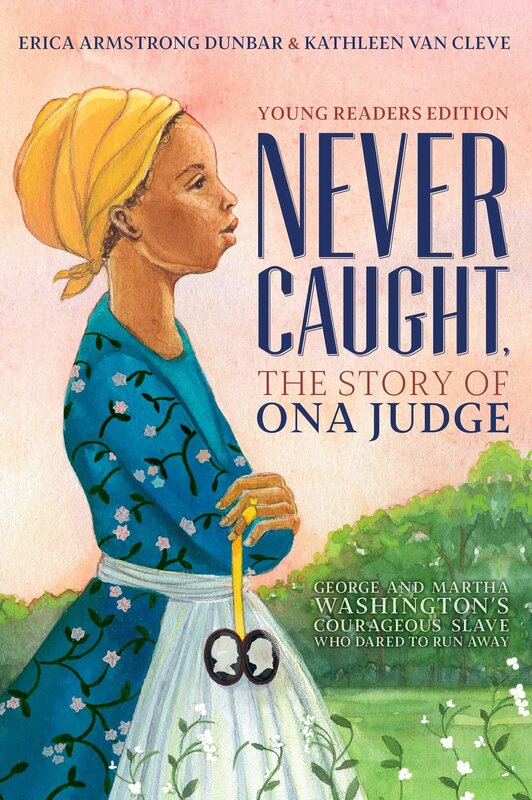 Summary: Ona Judge, one of Martha Washington’s favorite slaves, traveled north with the Washingtons when George became President. In Philadelphia, she saw free blacks for the first time and began to consider what that life would be like. When Martha Washington decided to give Ona to her spoiled granddaughter as a wedding present, Ona escaped. She traveled on a ship to New Hampshire, where she spent the rest of her life, despite determined efforts on the part of both the Washingtons to capture her and send her back to Mt. Vernon. Although Ona had a difficult life of poverty and hardship, she never looked back. In an 1845 interview, when she was 72 years old, she was asked if she was sorry to have left the Washingtons. “No,” she replied. “I am free, and have, I trust, been made a child of God by the means.” Includes an epilogue describing how some of Ona’s younger relatives, inspired by her escape, were able to obtain their own freedom and make better lives for themselves. Includes copies of her newspaper interviews and an 11-page bibliography. 272 pages; grades 5-8. Pros: This young reader’s edition of the 2017 National Book Award finalist for nonfiction is compelling reading that brings to light some of the less-than-heroic aspects of George and Martha Washington. This would be interesting to read in conjunction with Kenneth Davis’s In the Shadow of Liberty for a different look at some of the founding fathers. The story is impeccably researched, given the lack of historical record about Ona Judge. Cons: Because of that lack of records, the author frequently speculates about what Judge may have been thinking or feeling, which, while interesting, is not necessarily historically accurate.